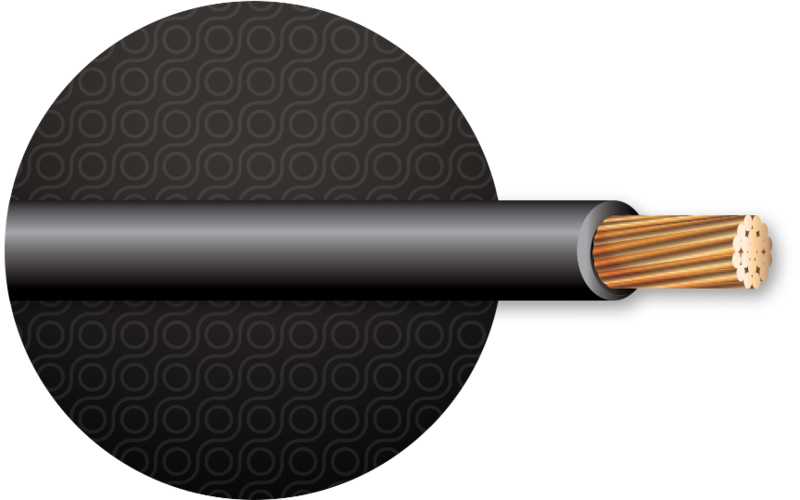 For use in conduit or suitable for use as underground service entrance cable for direct burial per NEC®. Good choice for industrial applications where better insulation toughness and resistance to moisture and heat are desired. For use as RHH or RHW-2 in wet or dry locations at temperatures up to 90°C. Sunlight-resistant (black only). For CT use on 1/0 and larger. Gas and Oil Resistant II. XLP (cross-linked polyethylene). Printed with True Sequential Footage.